Alfred's Jewelry and Design was established in 1992, in the city of Margate, located in Broward County, Florida. It is operated by Alfred Kairouz, who graduated from Oklahoma State University with an honors degree in Jewelry Manufacturing and Repair. Alfred studied precious and semi precious stones from Gemological Institute of America, expert in identification of gem stones. 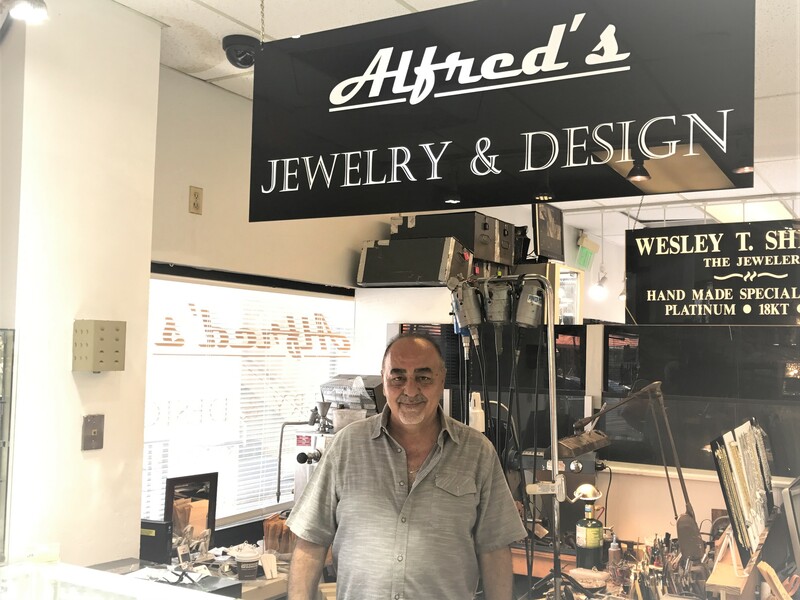 Alfred's Jewelry and Design has 30 years of experience in making and repairing fine Gold and Silver jewelry, specializing in custom design, restyling from drawing to casting, and polishing and setting gems. Alfred's Jewelry and Design also provides professional services on the following items: pearl restringing, watch repairs, replacement of watch batteries, replacement of missing gems and stones, hand-made name plate design, and other special projects like insurance appraisal. We have a wide variety of quality pieces and we carry and sell fine jewelry, engagement rings in an assorted selection of diamonds and colored stones, bracelets, earrings, necklaces, bangles, diamond wedding bands, gold chains, gold earrings, and gold bracelets. We carry a fine line of diamond cut silver that is made in Italy by Officina Bernardi, and an extensive line of sterling silver jewelry. We also buy and sell gold and estate jewelry. Alfred’s Jewelry and Design takes great pride in being honest and careful in all of our projects, and we provide the highest standards of precision and accuracy in the jewelry business.